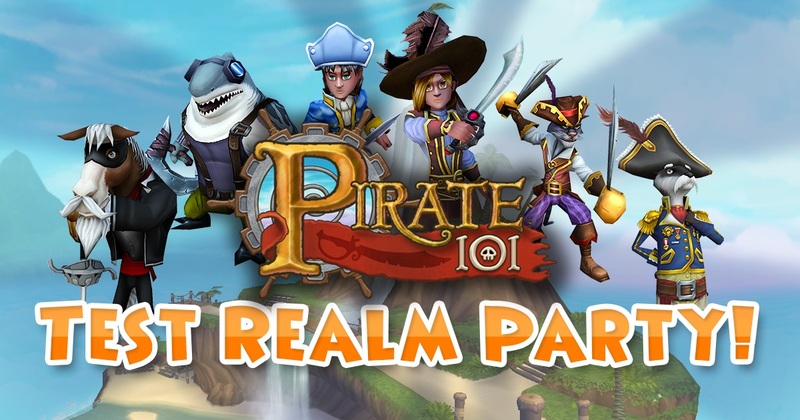 Party in the Pirate101 Test Realm! KingsIsle wants to do some stress testing for a new hardware configuration for the test realm. What better way to test its limits than to have a party?! Tom (One-Eyed Jack) will be dropping turrets in the Skull Island Skyway at 4 PM CST. Limited time code will be shared that will only be good for an hour or two. The usual 15K test realm crowns will be added, so have fun with those as well! Everyone who has access to the test realm can participate. Be sure to join the fun tomorrow, Thursday, February 23rd at 4 PM Central Time. See you there!